Corporate fitness programs are a critical piece of every effective wellness program. There are a variety of companies that provide corporate fitness programs. Over a several month period we challenged our team at WellSteps to find every company that works in the corporate fitness space. Here is a list of the 12 companies we have identified. They offer a variety of services including the design and creation of on-site fitness facilities, fitness center management, employee fitness challenges and campaigns, and the use of wearable devices. This is the most comprehensive list ever produced. This list is part of a series of blogs we have recently posted. This one is a list of all the corporate fitness programs found on the web. We have also produced the the largest known list of companies that offer comprehensive wellness programs. In addition to this we have identified the top biometric screening companies and the top health coaching companies. Some wellness companies don’t fit in with these other lists. So, we created yet another list of the 17 health and wellness programs that have a different purpose. This list includes companies that offer wellness management services, wellness portals, and incentive programs. Use all four of them to help select the right vendor for your organization. Altogether, these five lists of companies constitute the most comprehensive collection of known wellness companies. Corporate Fitness Works is the biggest certified female-owned business within the entire fitness industry. Since 1988, they have developed worksite fitness programs for the employees of numerous companies throughout the United States. Corporate Fitness Works believes that employee fitness is essential to increasing the productivity of the company they work for. Corporate Fitness Works has an experienced staff which designs special fitness challenge ideas and incorporates them into the worksite fitness programs that they give to each of their clients. Many of these clients over the years have included government agencies, retirement communities, universities, hospitals, real estate management groups, and corporations. Fitbit is a technology company that creates wearable devices which have wireless fitness trackers in them. Founded in 2007, Fitbit took full advantage of the wireless technology and sensors which had become advanced by this point. Instead of just using this technology to create a basic smartwatch, they created a fitness-based smartwatch that helps empower people to live healthier lives and reach their overall fitness goals. As a wellbeing company, Fitbit has also been integrated into numerous wellness programs in the workplace and is part of the best incentive programs for employees who are serious about managing their physical health. Back in the late 1990s, EXOS was created based on the theory that all people have the potential to perform well at their jobs. These people just needed a way in which they could control their own health needs and be in a suitable position to do so. EXOS did not want to just be like other prominent industries that were creating worksite fitness programs like the healthcare industry, sports performance industry, and corporate wellness industry. Instead, EXOS wanted employee fitness standards to always be accelerated based on the needs of each individual employee rather than based on just one fitness model template. By doing this, people from all walks of life can improve their health no matter if they’re a computer programmer or basketball player. Each individual just needs the right fitness challenge ideas to give them the boost they need to be more physically healthy. EXOS is here to help them out with that. FX Well is a wellbeing company that creates health and wellness programs for companies and their employees. The goal of FX Well is to improve organization performance in the workplace by improving the personal health and wellness of its employees. FX Well has the best incentive programs for employees which are customized by world-class mentors, coaches, and personal trainers. Plus, FX Well utilizes fitness technology with its cloud-based performance gateway which keeps track of the performance data of each employee so that corporations can monitor their progress. One Stop Wellness is a comprehensive workplace wel lness company that offers customized lifestyle programs to empower employees to improve their productivity and well-being. Their multi-dimensional approach to wellness caters to the needs of all employees despite their initial motivation or fitness level. With their on-site workshops and proprietary technology, they are able to create a personal experience with each company to improve health & fitness, increase employee retention and help managers attract top millennial talent. The One Stop Wellness solution can be customized to any organization, regardless of size or culture. Power Wellness brings a new customized approach to worksite fitness programs and medical fitness care management. By specializing in medically integrated wellness and fitness centers, Power Wellness works to improve people’s lives by relieving their stress and making their physical bodies healthier. They believe employee fitness is the key to wellness management in the workplace as well. Their wellness management services have become integrated and customized for commercial fitness centers, medically integrated centers, and community fitness facilities throughout the United States. Provata is a wellness and wellbeing company that’s based in Lake Oswego, Oregon. After integrating new innovative digital technology with 25 years of wellness research, Provata has created wellness programs in the workplace which have totally revolutionized the wellness industry. With chronic illnesses and unhealthy behaviors costing healthcare providers $2.9 trillion per year, Provata has developed a series of health and wellness programs which target preventable behaviors that encourage people to make healthier choices before their health gets any worse. Provata’s clinically tested wellness platform has allowed the best incentive programs for employees to be implemented into the work environment. This results in employees feeling better at the job and employers saving money due to increased productivity and lower healthcare costs. Retro Fitness is a health club franchise with over 120 locations across the United States. 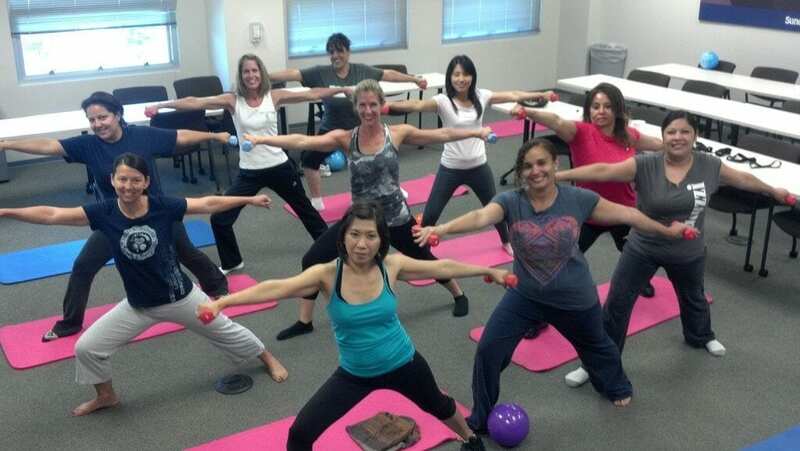 They have a corporate-sponsored wellness program which makes special deals with companies who want to encourage their employees to get healthier. Employee fitness is becoming more of a necessity in the work environment; rather than just relying on worksite fitness programs, companies are encouraging their employees to get a discounted gym membership with Retro Fitness. Each facility has state-of-the-art cardio machines, weight machines, free weights, exercise classes, and more. 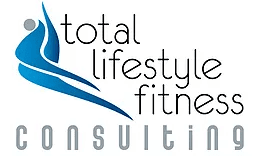 Total Lifestyle Fitness Consulting is a consulting and wellbeing company that manages health and wellness programs for apartments, corporations, homeowner communities, and fitness centers. Total Lifestyle Fitness Consulting can also create wellness programs in the workplace that are based on customized corporate wellness strategies which cater to the specific needs of an organization’s employees. Some employee wellness programs examples include online fitness education coaching and corporate competitions. Total Lifestyle Fitness Consulting is made up of a team of certified wellness professionals with years of wellness and health experience. Walker Tracker is a state-of-the-art program which creates walking challenges for employees that are map-based. For the last 10 years, Walker Tracker has integrated itself into the best incentive programs for employees who want to become healthier. Walker Tracker provides a template for these health and wellness programs which involves challenge events that motivate employees to participate in them. These could be company vs. company challenges or simply team events within the same organization. It pushes employees to become more physically active in a way that’s fun and exciting. 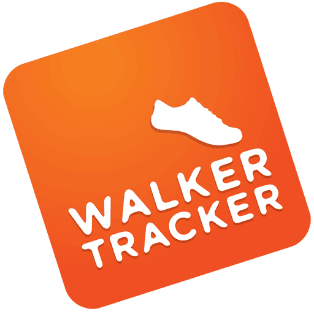 A Walker Tracker app is also available for employees who want to find these events a lot faster. WellSteps corporate wellness solutions have more fitness and exercise campaigns and challenges than any other wellness company. With WellSteps you can get team-based fitness challenges, challenges that use wearable devices, and challenges you can complete using the WellSteps app. Best of all, WellSteps is guaranteed to reduce employee health care costs and improve employee health. As the winner of the 2016 Koop Award, the WellSteps wellness platforms have been identified as the nation’s most effective corporate wellness program. With so many wellness vendors to choose from, why not demo the one that has been identified as the nation’s best. Schedule a WellSteps demo right now. Previous PostHow Much Does An Employee Wellness Program Cost? Thanks for producing both lists. Is this list a summary of your web search efforts based on the terms identified in the opening paragraphs or were there other determining factors in selecting your listed corporate fitness companies? Mike. My blogs target employer groups. These “list” blogs are lists of national worksite wellness providers. The goal of the lists is to help employers find wellness vendors, regardless of where they live. To get the lists we did web searchers and relied on industry experience and contacts.